ATSI co-operatives deliver a wide range of services holistically. They variously provide medical services, community services, housing, arts and cultural services, child care, aged care, education and financial assistance. By integrating services they are able to adopt an all-encompassing approach to serve community needs. ATSI co-operatives are particularly well placed to address specific challenges such as local capability building and local self-determination issues. They are uniquely well placed to do so because of their co-operative structure. ATSI co-operatives are motivated to achieve income and opportunity not only for themselves, but for their whole community. Beyond serving their members, they generate significant social capital. 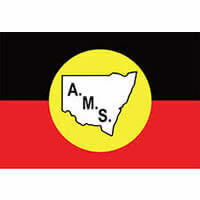 The Aboriginal Medical Service Cooperative in Redfern provides culturally appropriate health care to Aboriginal and Torres Strait Islander communities in central NSW. The Aboriginal Medical Service in Redfern was the first Aboriginal Community Controlled Health Service in Australia and a founding member of the National Aboriginal Community Controlled Health Organisation. Tranby is Australia’s oldest not-for-profit independent Indigenous education provider. Tranby National Indigenous Adult Education and Training (‘Tranby’) is located in Glebe, Sydney. The organisation is a function of the Co-operative for Aborigines Limited and has been a pioneer in Aboriginal and Torres Strait Islander adult education, training, and social action for decades. 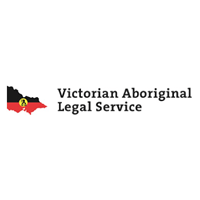 Victorian Aboriginal Legal Service (VALS) is an Aboriginal community controlled organisation operating Statewide in Victoria, providing community justice services and legal practice services to all in Victorian Aboriginal community.